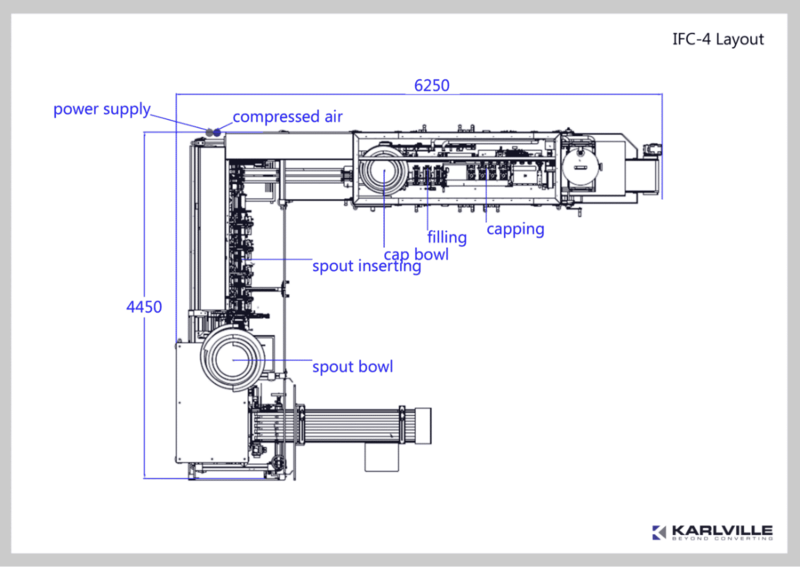 Machine developed for feeding pre-made pouches, fitment insertion, and sealing and filling and capping. 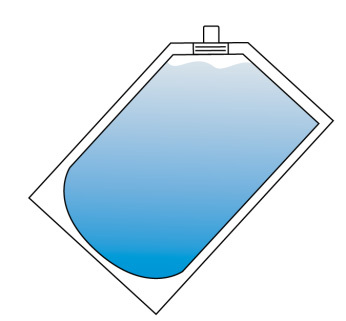 Magazine capacity up to 2000 pouches, depending on the pouch size. These IFC-Type Machines fill through the already applied spout. This makes the process of filling foaming products more secure and leads to an high output of filled pouches. 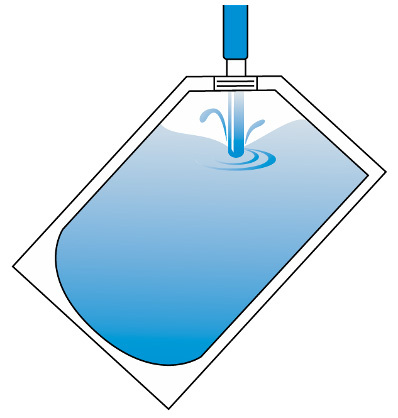 This is a very reliable and clean process without spilling and spraying. Even shaped pouches are easy to handle and changing times are brought to a minimum.